Okay, so I just recently tried out nail wraps (my first set is still on my nails now), and I am obsessed. I ordered a set from Amazon last night, and another couple sets from Espionage Cosmetics this morning. I think the whole “no more waiting for nails to dry” life is the one for me. 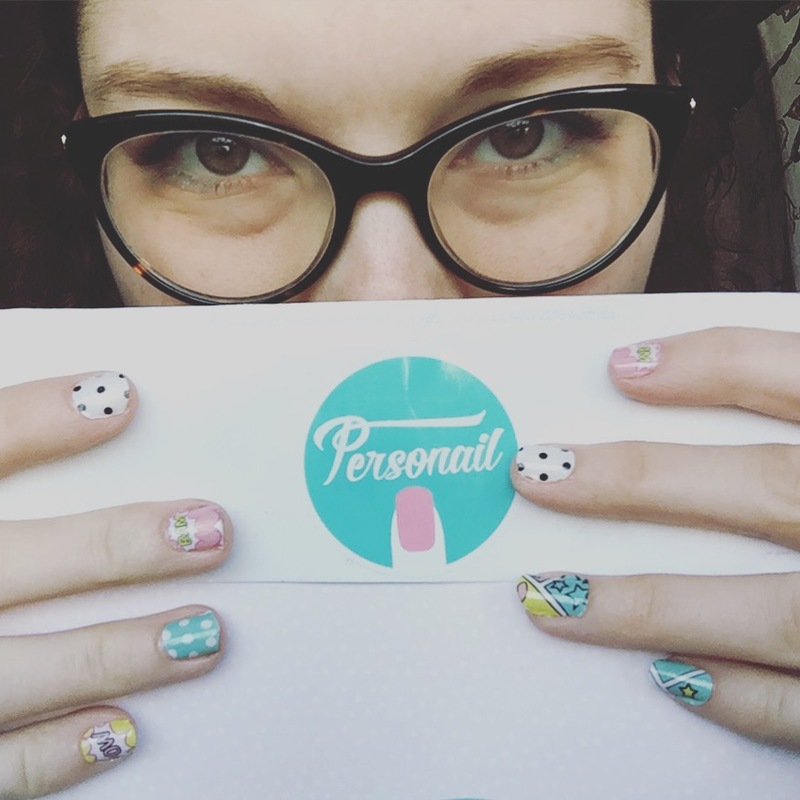 I’m currently wearing a set from Personail that has cute, comic-like designs on them (shown above). I love it. This is “The Cyan-tific Method”, and my favorite color from this line. Now, I know what you’re thinking. “Emily, with all those nail wraps, you’re never going to have time for nail polish!” Not true, Fangirls. 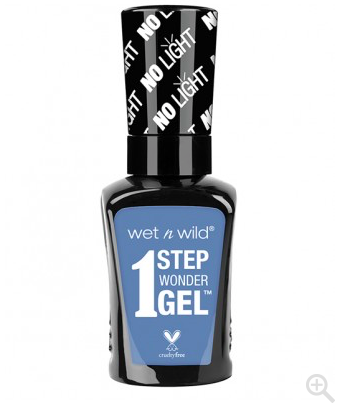 Wet ‘n Wild released a new line of 1 step gel polish that I desperately want to try out, because I’m 90% sure their advertisement was aimed directly at me. They call them the superheroes of the nail polish world, because you get the gel look without the UV light or the use of a topcoat. I was, however, incredibly disappointed to find that none of the names were superhero related. I’m still reeling from a trip to target a couple days ago, where I saw the DC Super Hero Girls figures first. There is a line of posable figures, that features the ladies of the new show. 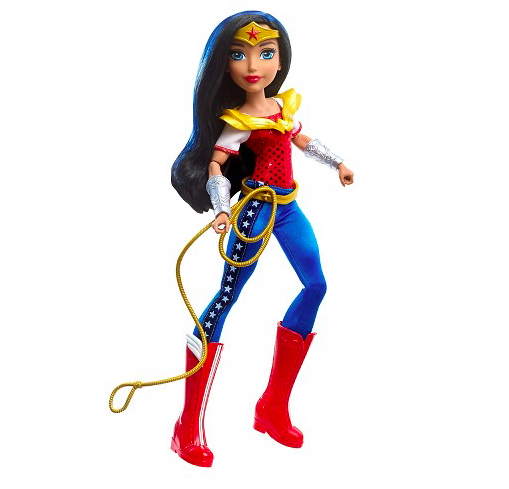 The figures include Wonder Woman, Batgirl, Poison Ivy, Supergirl, Harley Quinn, and Bumblebee. I want them all (duh), but Harley and Wonder Woman are my favorites. I think it’s wonderful to see these characters being put out there as role models in clothing that isn’t super revealing, but also isn’t “girled up” (I’ve seen a ton of Wonder Woman stuff that’s pink and purple instead of red and blue). We can stop talking about Barbie’s weight now, because she has several of them! The different body typed Barbie’s are now being sold, and they’re hella rad. 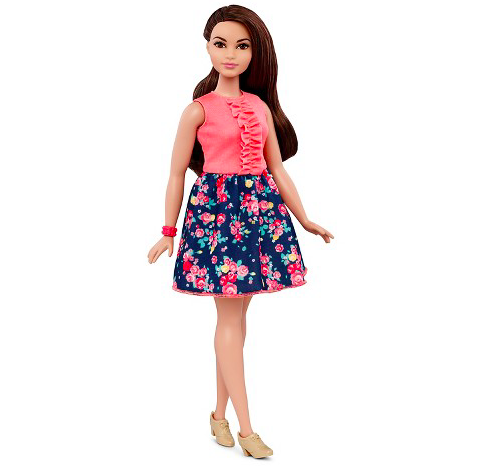 I think it’s so wonderful that Mattel is embracing the variety in bodies of girls, to the point of having dolls that look like them. It’s definitely the first time I’ve seen my body type represented. I’ve had customers mock them to me, but I’m still excited about them. Released last November, Disney Infinity was what everyone expected; Star Wars. If you were willing to spend just over $110, you could get the Sony Playstation bundle, which had an exclusive Boba Fett figure. 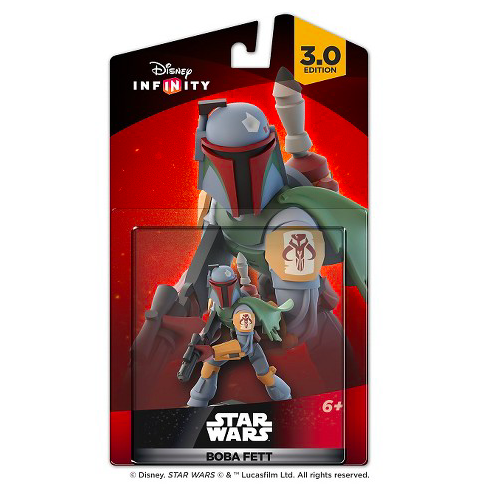 They said that Boba would be available for individual retail by January, but he still isn’t out! He actually comes out the 15th of this month, and I couldn’t be more excited. When we got him in to the store that I work at, I cooed over him for at least half an hour. It was gross. That’s my dream basket, but I’m honestly just looking forward to spending the day with my family. 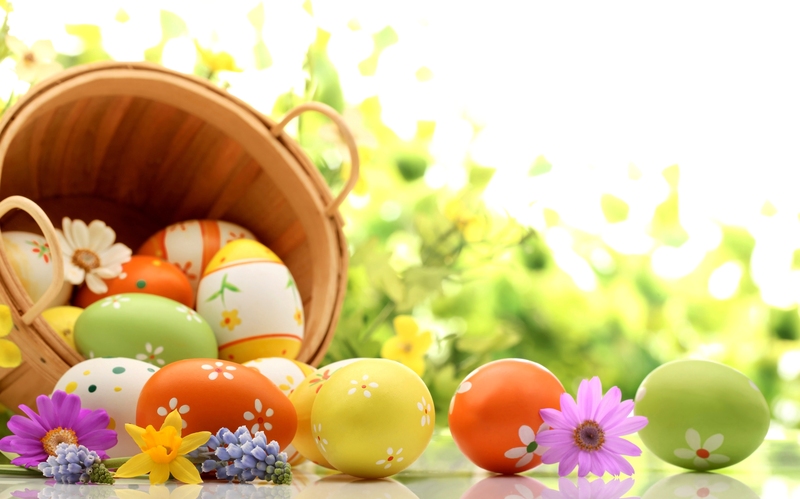 I hope you all have a hoppy and safe Easter!